Punjab Chief Minister Amarinder Singh on Wednesday said he was “disappointed” over Prime Minister Narendra Modi’s “failure” to address any of the major concerns of the farmers at his Malout rally earlier in the day. “The distressed farmers who had gathered to hear Modi found no succour for their problems in his long speech, which was high on fluff and short of substance,” Amarinder Singh said in a statement here. Modi had visited Malout town, around 275 km from Chandigarh, to address a “thanksgiving rally” organised by BJP ally Shiromani Akali Dal in the wake of the “biggest hike in MSP for paddy” announced by the Modi government last week. The Chief Minister said he was shocked over the fact that the Prime Minister failed to even mention the farmer suicides and debts or even the Swaminathan committee’s report. Amarinder Singh, who heads the Congress government in agrarian Punjab, said the rally turned out to be a “sorry spectacle for the farmers who had braved sweltering heat in the hope of some concrete announcements from the Prime Minister”. 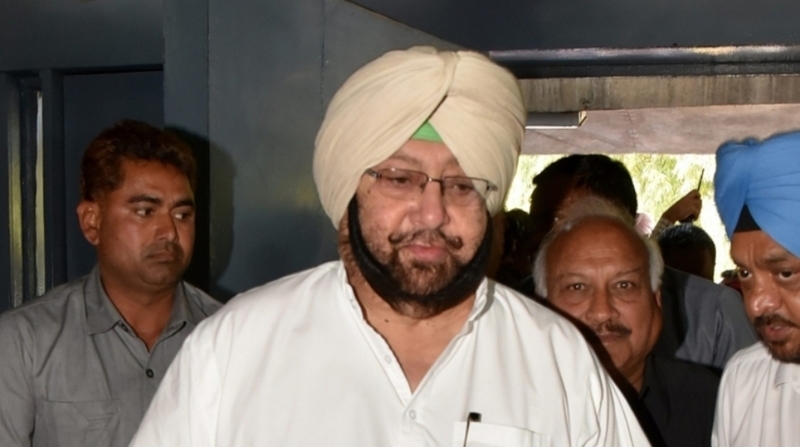 “Instead, Modi’s speech turned out to be an insipid affair, focused on tom-tomming of his government’s four-year rule, which has been a complete failure on all counts,” Amarinder Singh said. The Chief Minister said it was unfortunate that Modi had let go of a major opportunity to address the serious concerns of the farming community. “If he really wanted to thank the Punjab farmers for contributing to the nation’s Green Revolution and for continuing to feed millions of Indians day after day, Modi should have come out with some concrete announcements on the critical issues of farm loan waiver and total implementation of the Swaminathan report,” Amarinder Singh said. “In his zeal to criticize the Congress, Modi conveniently forgot that it was my party (Congress) that was responsible for ushering in the Green Revolution and thus ensuring the country’s food security. He should have had the decency to at least acknowledge the Congress for waiving farmer loans while his own government had completely failed to provide them relief from massive debts,” the Chief Minister added. Amarinder Singh also flayed the Akali Dal for “betraying” Punjab by letting Haryana Chief Minister Manohar Lal Khattar to participate in the rally in Muktsar district. “Considering Khattar’s stand on the SYL (Sutlej-Yamuna Link Canal) and Punjab waters, the Akalis should not have let him be a part of the rally in the first place, or should have used the opportunity to corner him over these important issues which are vital to the interest of Punjab and its farmers,” Amarinder Singh said.